Being pioneer of the industry, we supply and trade a vast range of Pre compressed press boards that are sourced from the trusted manufacturers. Before dispatching the product in the market, professionals check the quality of this product and also ensure optimum performance. Our range is applicable for the various kinds of transformers and can be availed at reasonable prices. Made from 100% high purity unbleached sulfate Kraft pulp. Oriental Agencies started its business activities in the year 1976 as a sole proprietorship business concern at Kolkata, West Bengal. 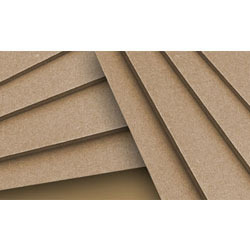 We are among the leading traders and suppliers of the industry engaged in offering a vast range of products Pre Compressed Press Boards, Insulation Kraft Papers, Insulating Press Papers, Rubberized Cork Sheets, Rubberized Cork Strips, Rubberized Cork Washers, Transformer Insulation Kits, Insulation Crepe Papers, Diamond Dotted Papers, Insole Boards and Battery Separators. These products are widely demanded and admired by the clients belonging from different industries for their unmatched quality standards such as rugged esthetics, high strength, accurate dimensions, long service life and many more. We also provide these products to our valued clients in customized form at industry leading prices as per their specific demands and requirements.